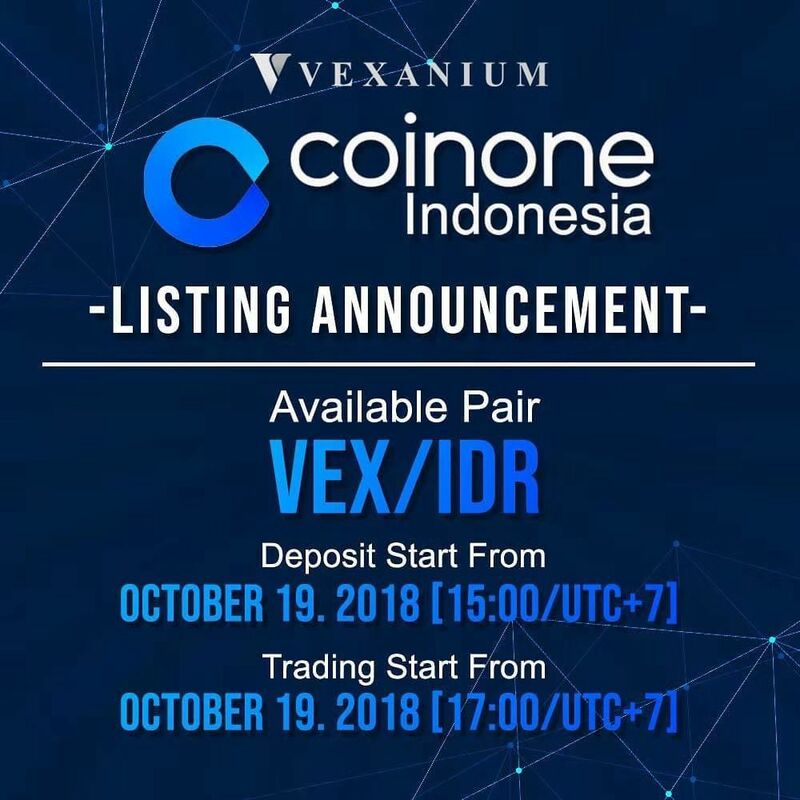 Terima kasih atas dukungan dan antusias Anda pada Vexanium selama ini. 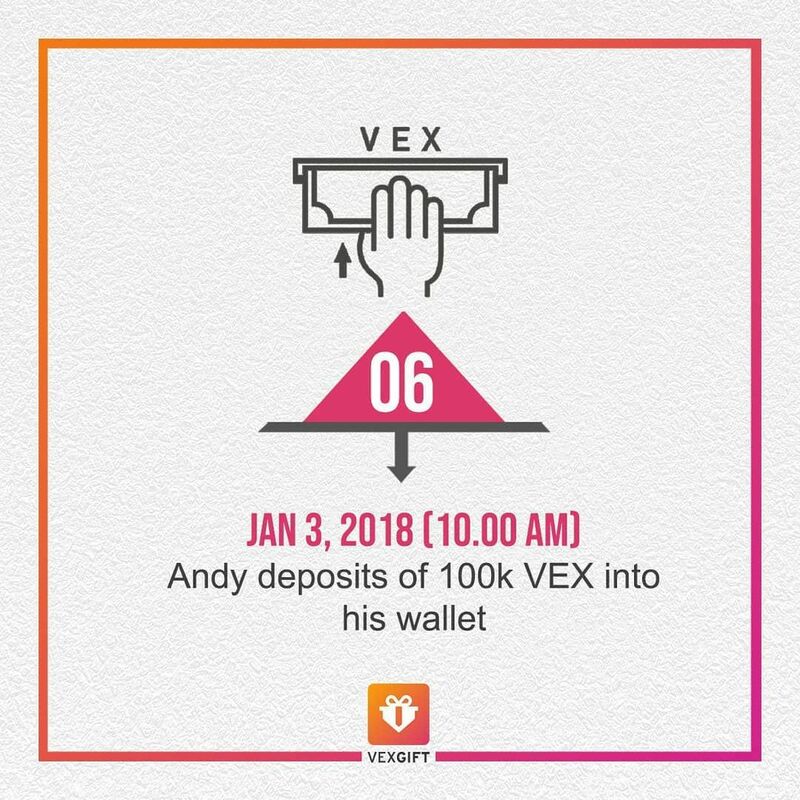 Beberapa event yang kami adakan sebelumnya sebagai bentuk apresiasi atas dukungan Anda adalah Deposit Program, Token Frozen, VexGift Referral Program, dan Vex Point sebagai Vex Loyalty Point. Tapi tentu saja apresiasi kami tidak akan berhenti hanya sampai disitu, kami sudah mempersiapkan event menarik lainnya sebagai bentuk apresiasi kami atas dukungan Anda pada Vexanium. 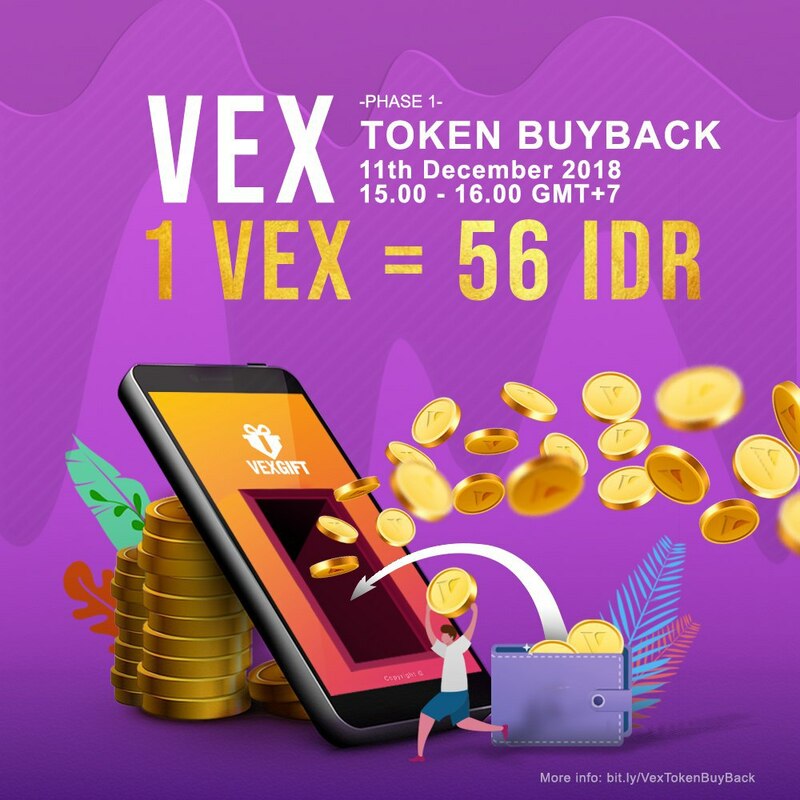 Dengan bangga kami persembahkan: VEX Token BuyBack! Here we meet again at that time of the month where we will share with you every Vexanium achievement and improvement in November! These are some of our highlight in November. 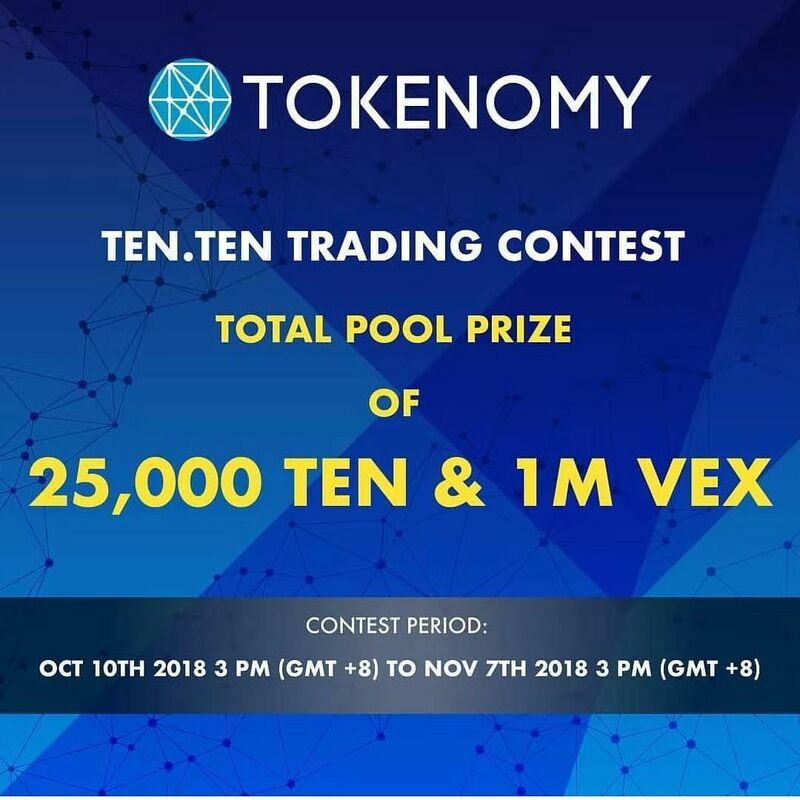 Vexanium participated on Block Community, the community event that organized by Tokenomy and Indodax. Block Community aims to develop community growth and drive positive development in the blockchain space through open dialogue and collaborative session. This event held in Hall B, Jakarta Convention Center, Central Jakarta on Saturday, 3rd November 2018 from 10.00 until 18.00. Our founder and CEO (Danny Baskara) had his own session by bringing “How Blockchain Technology Can Impact Retail and Marketing Area” topic at 11.30 – 12.00. 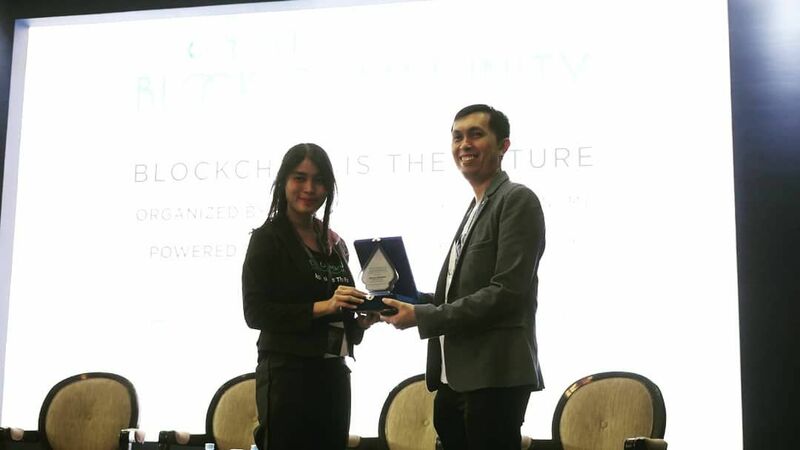 We participated on Southeast Asia Blockchain Summit 2018. Southeast Asia Blockchain Summit 2018 will explore the industries that are set to be disrupted the most by this new technology, including; manufacturing, retail, financial services, legal, healthcare, insurance, energy, music, government, real estate and more, with a focus on learning and building partnership with this emerging Blockchain universe. This event held in Hall B, Jakarta Convention Center, Central Jakarta on Sunday, 4th November 2018 from 10.00 until 18.30. Our founder and CEO (Danny Baskara) had his own session by bringing “Blockchain Technology: A Disruption for Marketing and Retail industry” topic at 17.20 – 17.50. 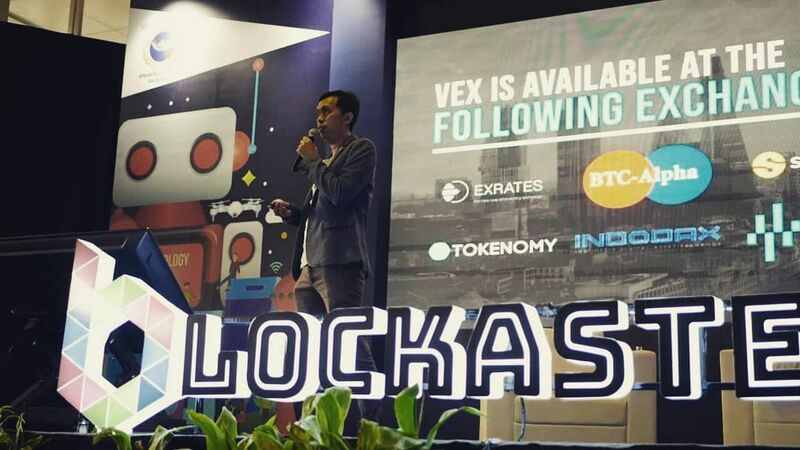 Vexanium participated on BlockBali Summit 2018. 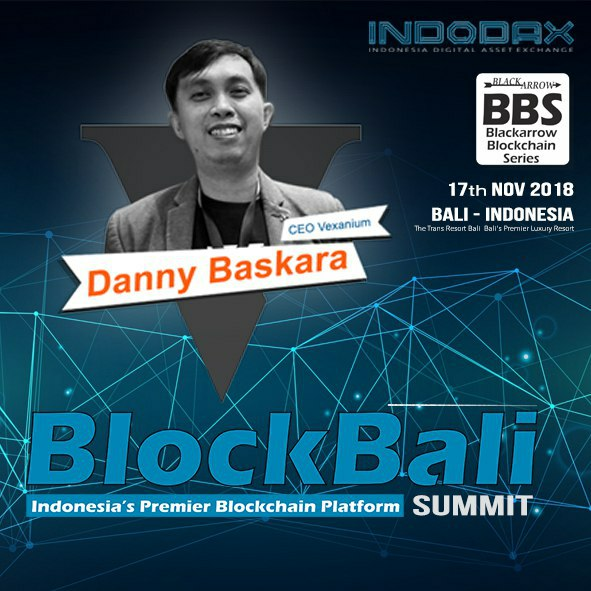 BlockBali Summit 2018 will connect global blockchain gurus and technology players with Indonesian government & business leaders. It will discuss the opportunities in blockchain & cryptocurrencies in Indonesia & also lay the foundation for Indonesia becoming ASEAN biggest blockchain market. This event held in The Trans Resort Bali on Saturday, 17th November 2018 from 08.30 until 18.30. 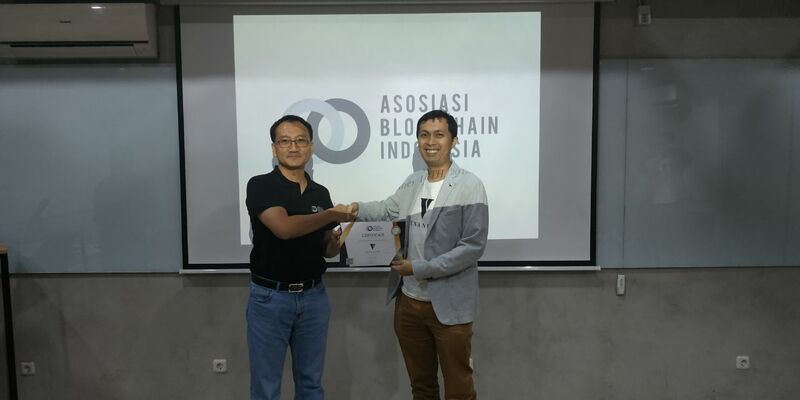 We proudly announce that from 14th November 2018 Vexanium is an official member of ABI (Asosiasi Blockchain Indonesia). Hope we can grow even more! Token frozen is a condition where a token or coin is frozen so it cannot be used as a transaction tool for a certain period of time. So, by freezing these tokens, the value of these tokens will be stable or even increase in the future because there are only a few available tokens on the market (becoming rare tokens). 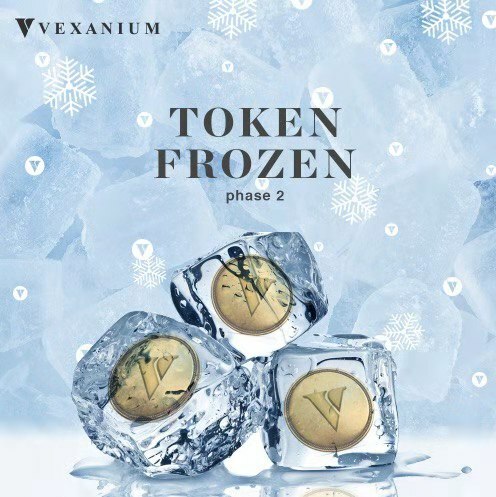 This strategy is one of Vexanium strategies where VEX earned in September – October 2018 will enter the second phase of Token Frozen. 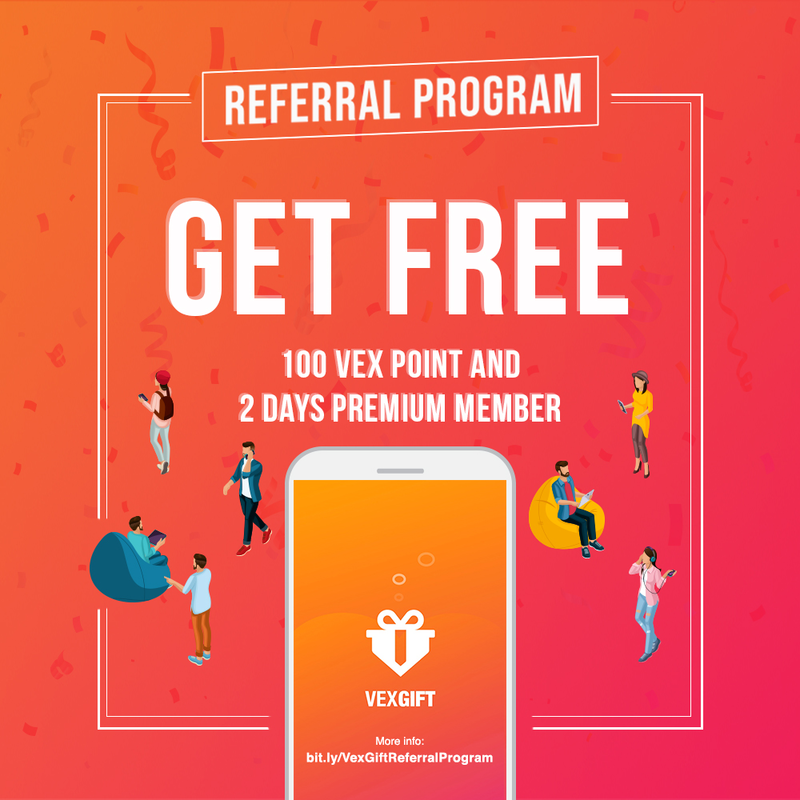 The VEX amount that will become token frozen obtained from Vexanium ecosystem such as VexGift premium feature, VEX address verification process, token sale that held on VexGift, token airdrop fee, and buyback charity program. The amount of token frozen above will be frozen for 2 years. 2. 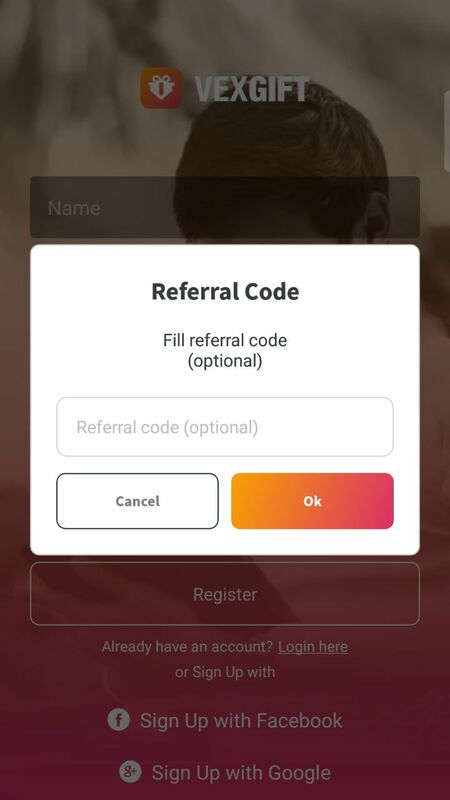 A shares his referral link from VexGift application. Modern society is changing, and along with it, business models are transformed and new opportunities emerge in the digital reality. We can say that Blockchain is one of the most important opportunities over the past decade. When we talk about Blockchain Technology for most people will refer it to cryptocurrencies as Digital Asset that provides a medium of decentralized exchange using cryptography to facilitate transactions. Lets Learn how Blockchain and Digital Asset will disrupt the world! See you on our next month highlight! 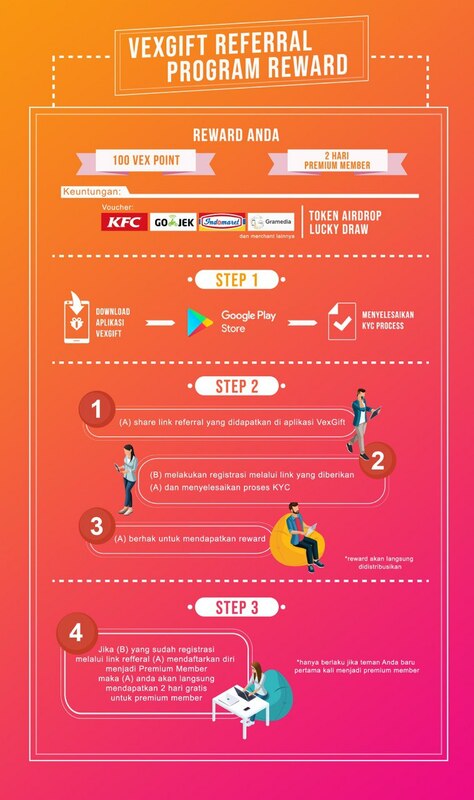 Raih kesempatan untuk memenangkan iPhone XS, Xiaomi Redmi Note 5 Pro dan Voucher KFC Super Besar! 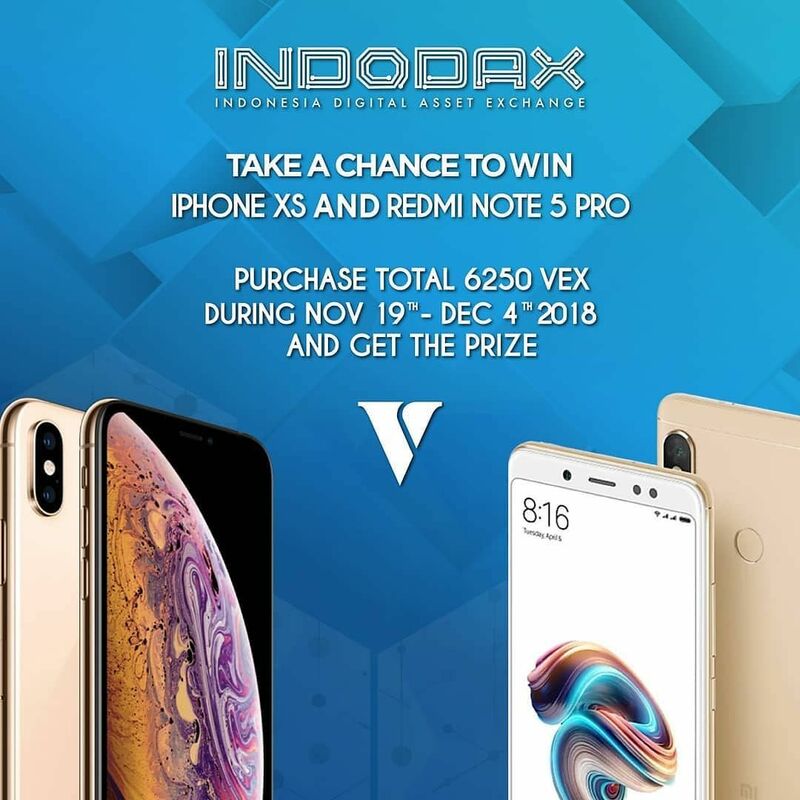 Untuk mengikuti kontes ini, Anda hanya perlu membeli total 6250 VEX di akun Indodax Anda dari tanggal 19 November – 4 Desember 2018. – Beli total 6250 VEX dari tanggal 19 November 2018 pukul 00.00 WIB sampai 3 Desember pukul 23.59 WIB. 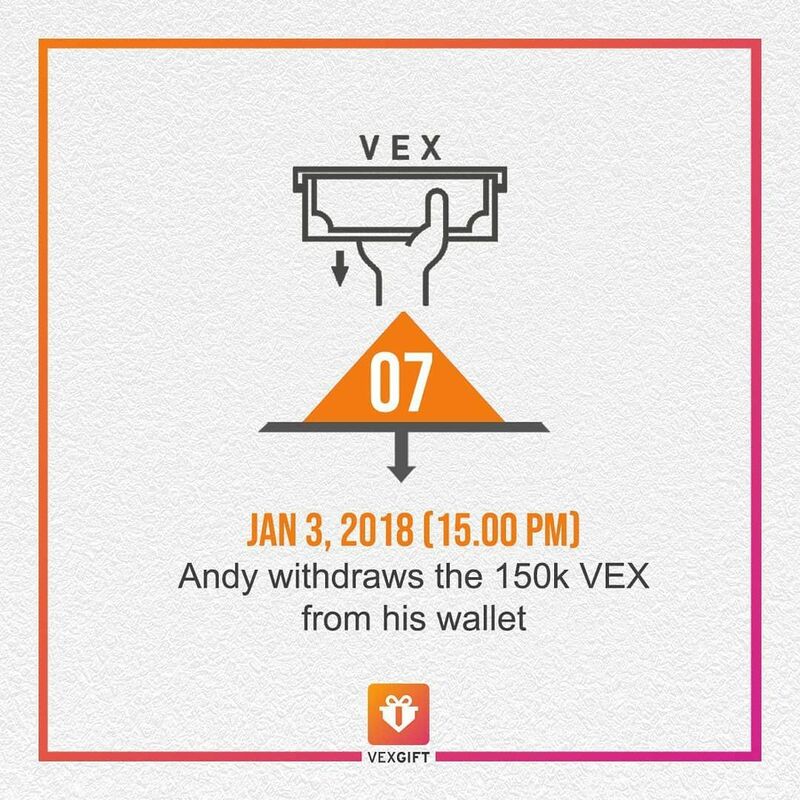 – Pembelian VEX Token sebanyak 6250 VEX dapat dilakukan secara bertahap. 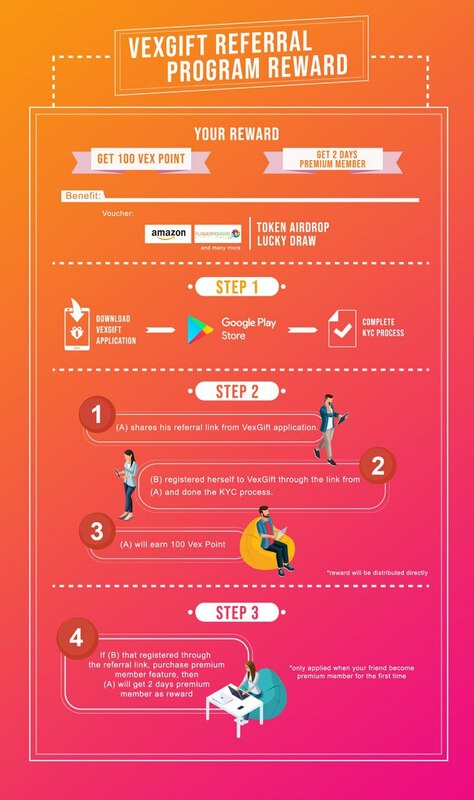 – Download aplikasi VexGift yang tersedia di Playstore. 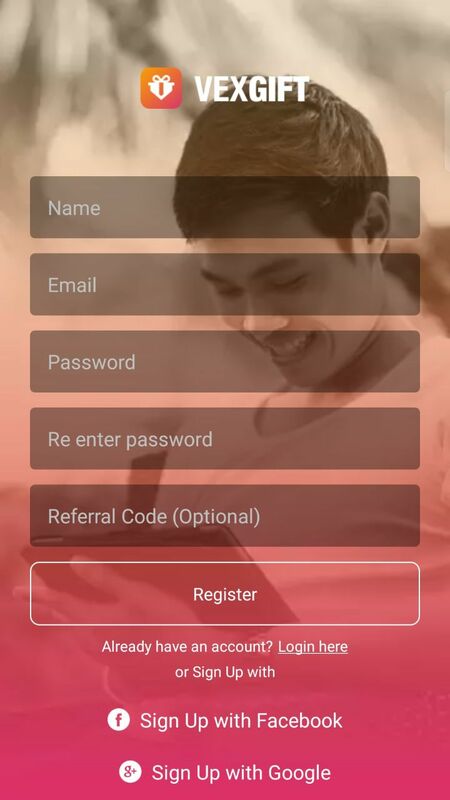 – Registrasi di aplikasi VexGift sesuai alamat e-mail yang Anda gunakan di Indodax. Periode Snapshot akan berlangsung pada 4 Desember 2018 pukul 14.00 WIB. Pengumuman pemenang pada 4 Desember 2018 pukul 16.00 WIB. Pembagian hadiah pada 5 Desember 2018 pukul 16.00 WIB. 400 Pemenang akan mendapatkan Voucher KFC Super Besar 1. – Setiap pemenang wajib memiliki akun vexgift dengan email yang sama di Indodax. – Seluruh pemenang hadiah akan diberikan dalam bentuk aset digital ke dalam akun Indodax. 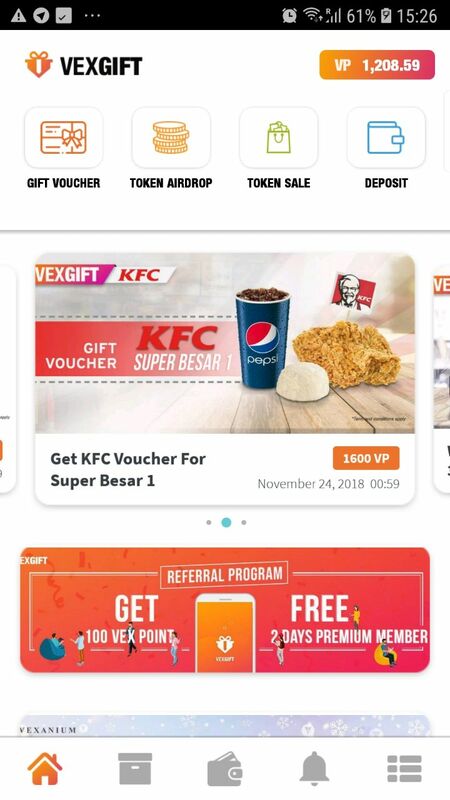 – Seluruh pemenang voucher KFC vexgift akan menerima kode voucher di account vexgift yang Anda daftarkan sesuai dengan email akun Anda di Indodax. 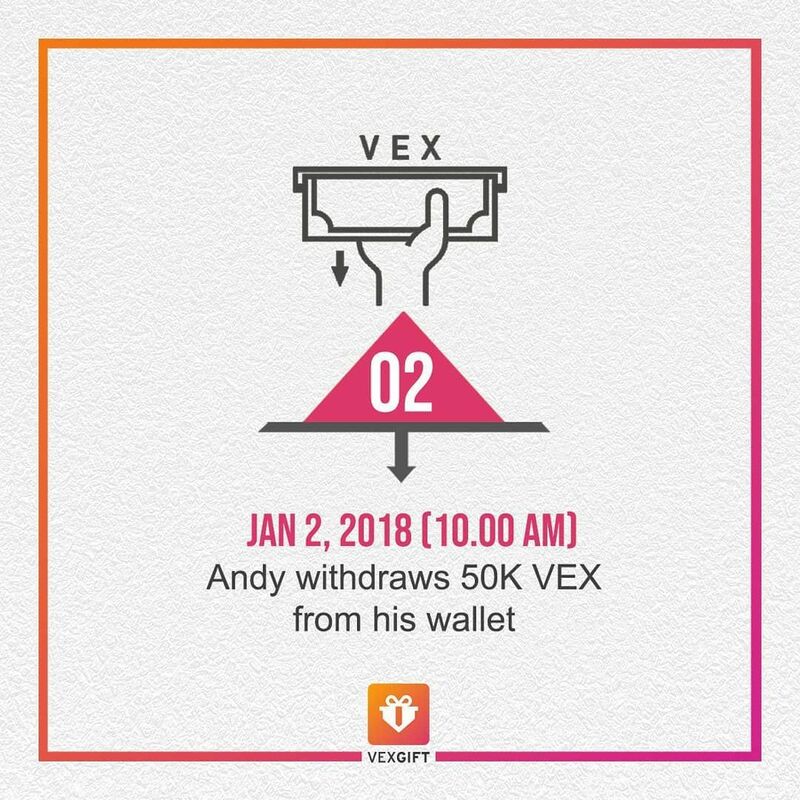 VexGift BETA version is launched and can be used for all Vex Holders since the end of August 2018. 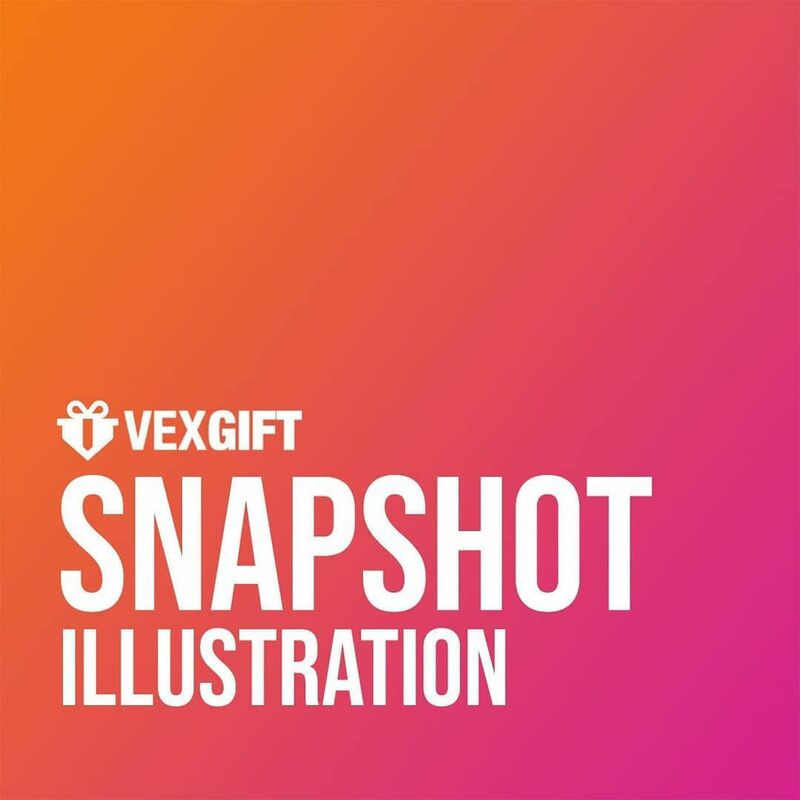 One of the main features of VexGift is snapshot where you can get Vex Point by holding VEX in your digital wallet. 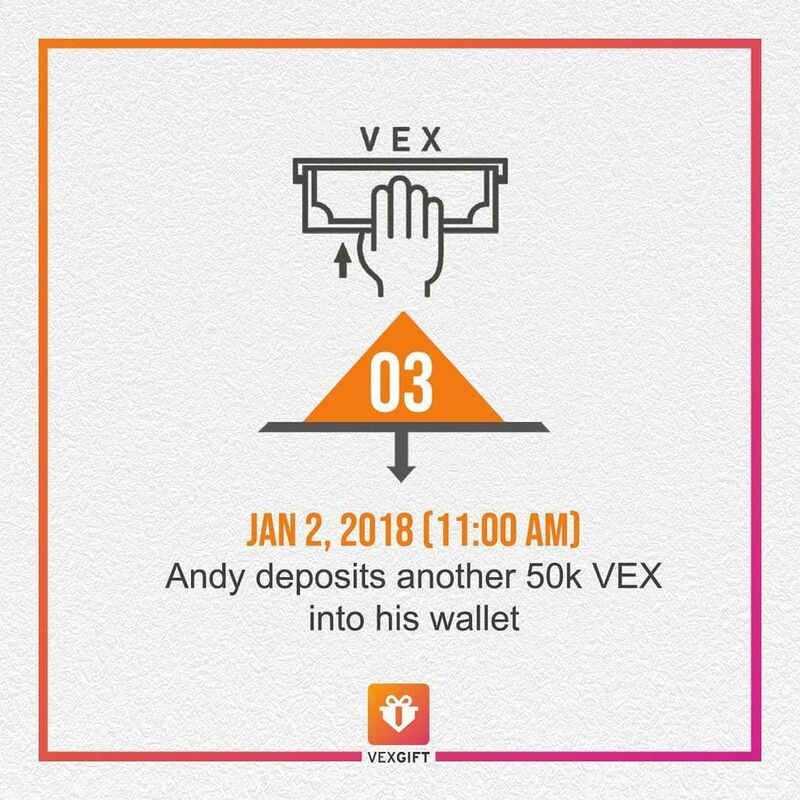 Vex Point can be redeemed to various vouchers from our curated merchant dan with other digital asset. 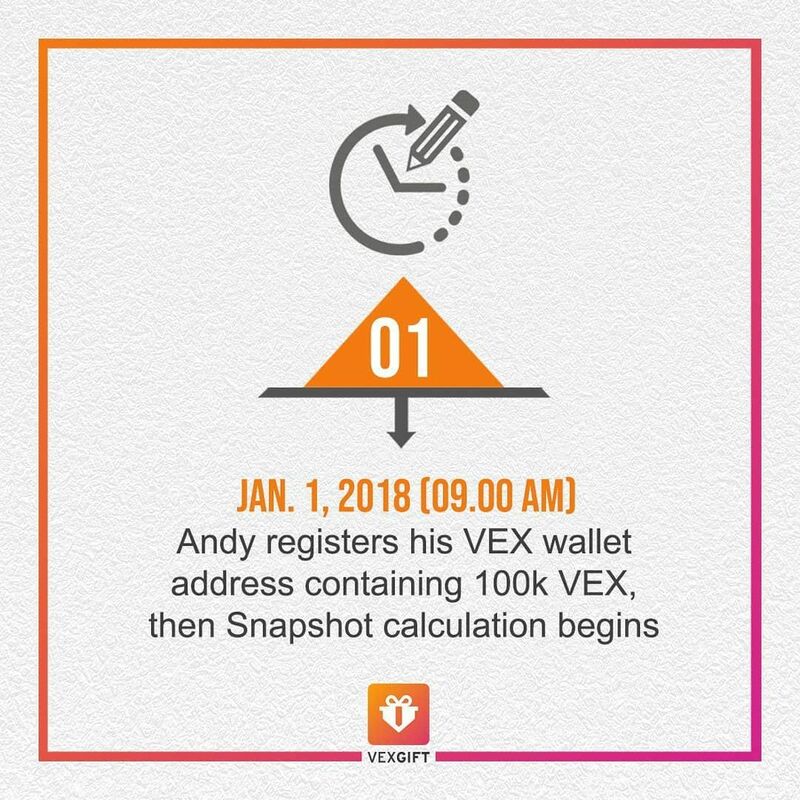 Here is the explanation of snapshot that you need to know when using VexGift application. 4. If your balance on S3 is changed then the Vex Point that you earned will also changed. 1.Snapshot happens every 12 hours (12.00 AM and 12.00 PM). 2.Snapshot has 3 phases: S1, S2, and S3. 2.User will pass a phase on every snapshot. 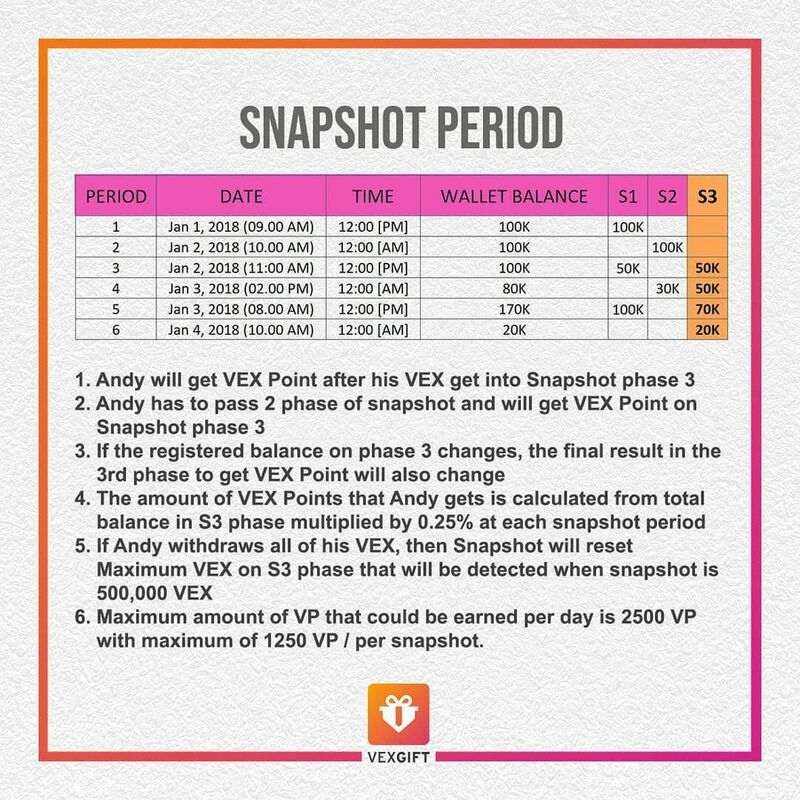 3.User will earn Vex Point when they have passed 2 phase on snapshot (S1 & S2) and their initial balance has entered the phase 3 (S3). 4.If there are any changes on S3 balance, the Vex Point that user get will also change. 5.Maximum VEX amount on S3 that will be detected on snapshot is 500.000 VEX. 6.Maximum VP amount that user could get is 2500 VP / day with maximum 1250 VP / snapshot. Vexanium will participate on BlockBali Summit 2018. 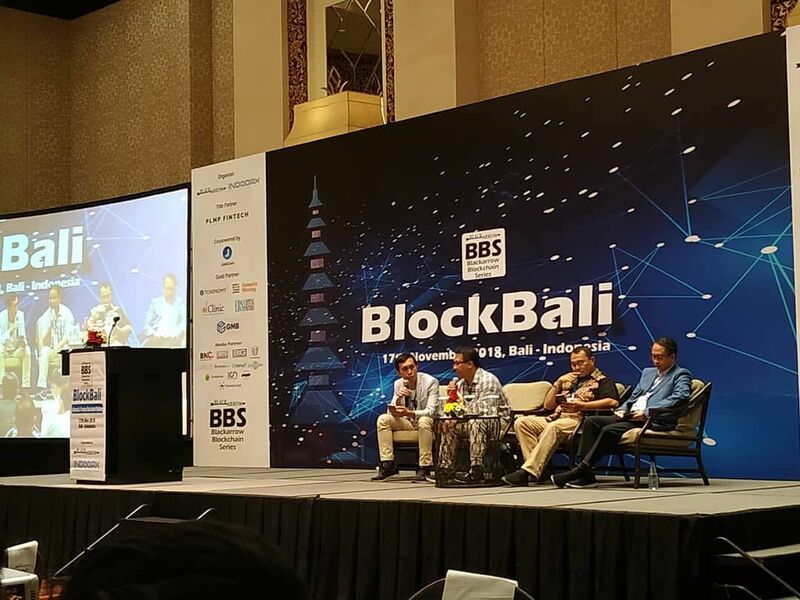 BlockBali Summit 2018 will connect global blockchain gurus and technology players with Indonesian government & business leaders. 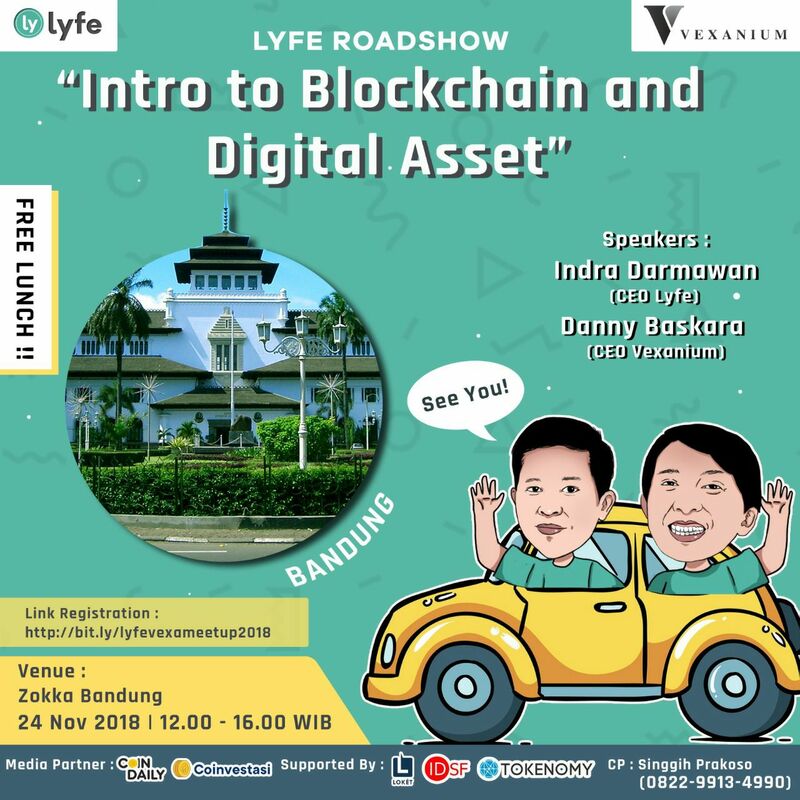 It will discuss the opportunities in blockchain & cryptocurrencies in Indonesia & also lay the foundation for Indonesia becoming ASEAN biggest blockchain market. This event will be held in The Trans Resort Bali on Saturday, 17th November 2018 from 08.30 until 18.30. Our founder and CEO (Danny Baskara) will have his own session by bringing “How Blockchain Technology Can Impact Retail and Marketing Area” topic at 16.50 – 17.10. Every blockchain company that has coin/token on the market certainly wants their coin/token to be in a stable price range considering the volatility prices in the cryptocurrency industry. There are several strategies to handle the volatility such as strengthen the ecosystem of the company itself or frozen their tokens to reduce circulation of the coin/token on the market. 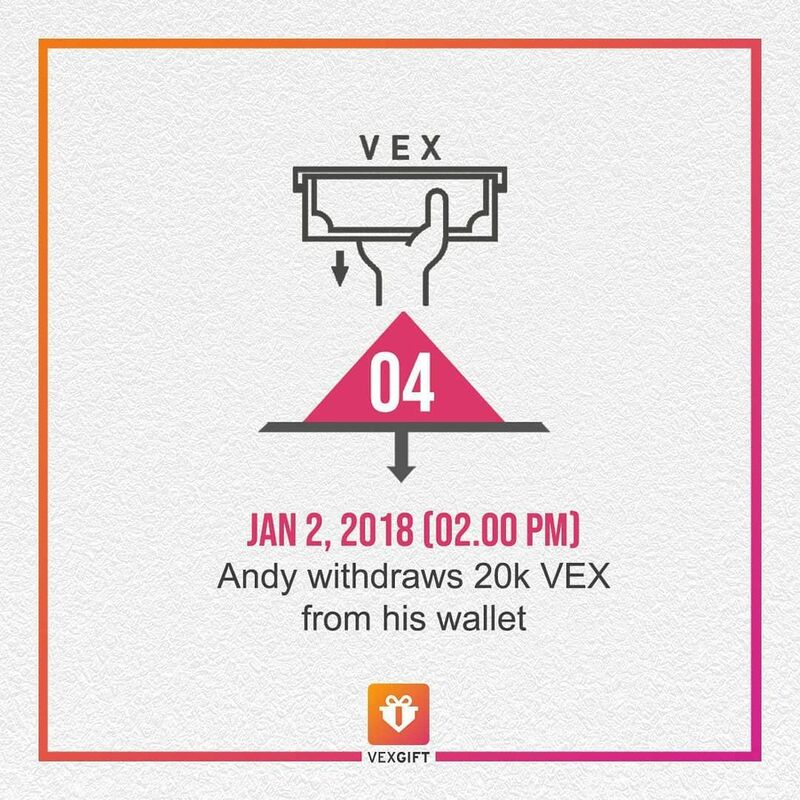 So with this token frozen, the circulation of VEX in the market can be reduced to maintain the price of VEX in the future. 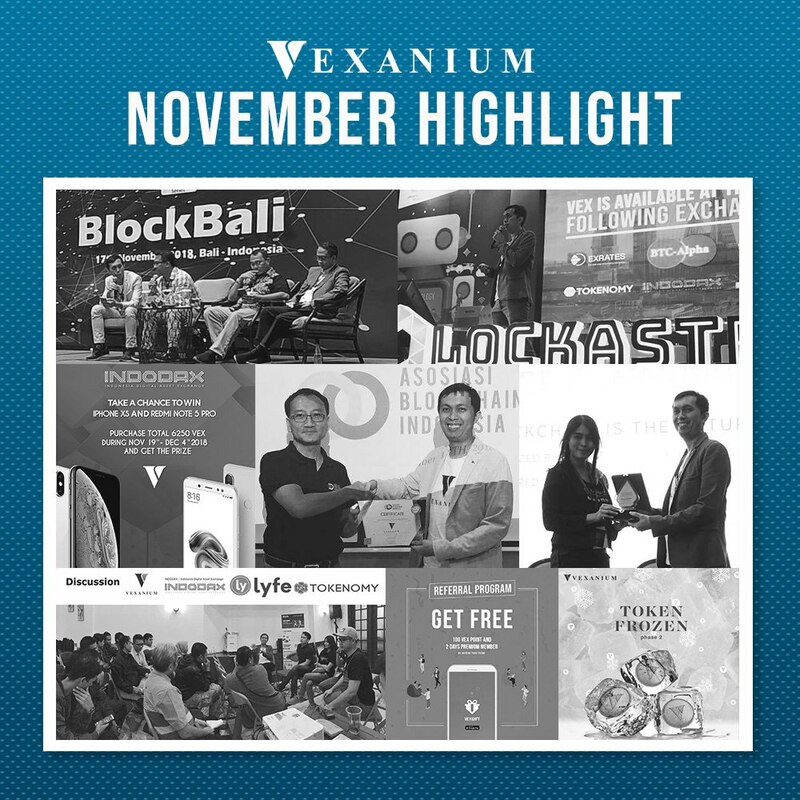 Here we meet again at that time of the month where we will share with you every Vexanium achievement and improvement in October! These are some of our highlight in October. Token frozen is a condition where a token or coin is frozen so it cannot be used as a transaction tool for a certain period of time. So, by freezing these tokens, the value of these tokens will be stable or even increase in the future because there are only a few available tokens on the market (becoming rare tokens). 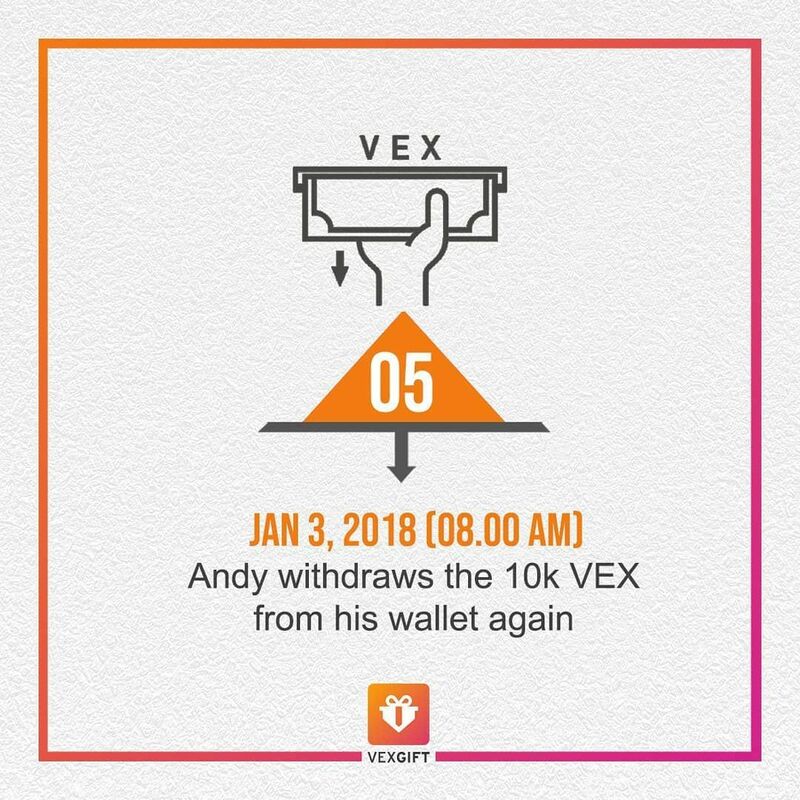 This strategy is one of Vexanium strategies where VEX earned in August-September 2018 will enter the first stage of Token Frozen. 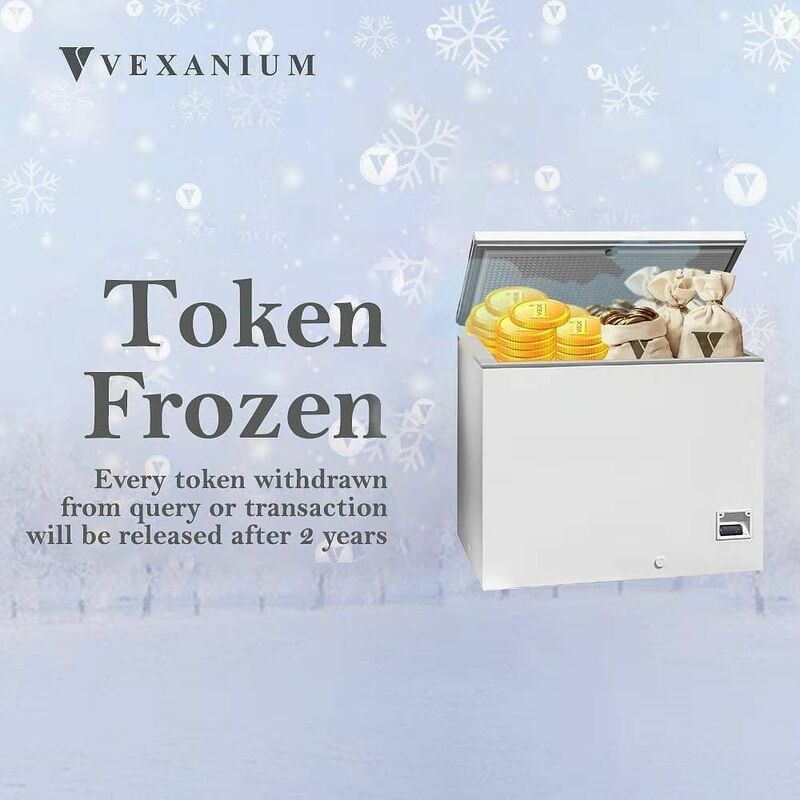 The VEX amount that will become token frozen obtained from Vexanium ecosystem such as VexGift premium feature and VEX address verification process. We participated on XBlockchain Summit, a blockchain summit that not only will explore the broader issues of international investment; economic development; and economic stability through the lens of developments in blockchain. This event held in Inaya Putri Bali, Nusa Dua Bali on 9th-10th October 2018. Our Founder and CEO (Danny Baskara) shared the same stage with Binance, FBG Capital, and Bit-Z on Tuesday, 9th October 2018 at 12.15 – 12.55 with ‘The Future Of Cryptocurrencies: Will They Be Accessible To The Mainstream?’ topic and also has his own session on Tuesday, 9th October 2018 at 15.55 – 16.25 with ‘The Use Of Blockchain To Power Your Customer Loyalty Program And Reward’ topic. It’s been an amazing experience to share our thoughts with crypto investor and enthusiasts. 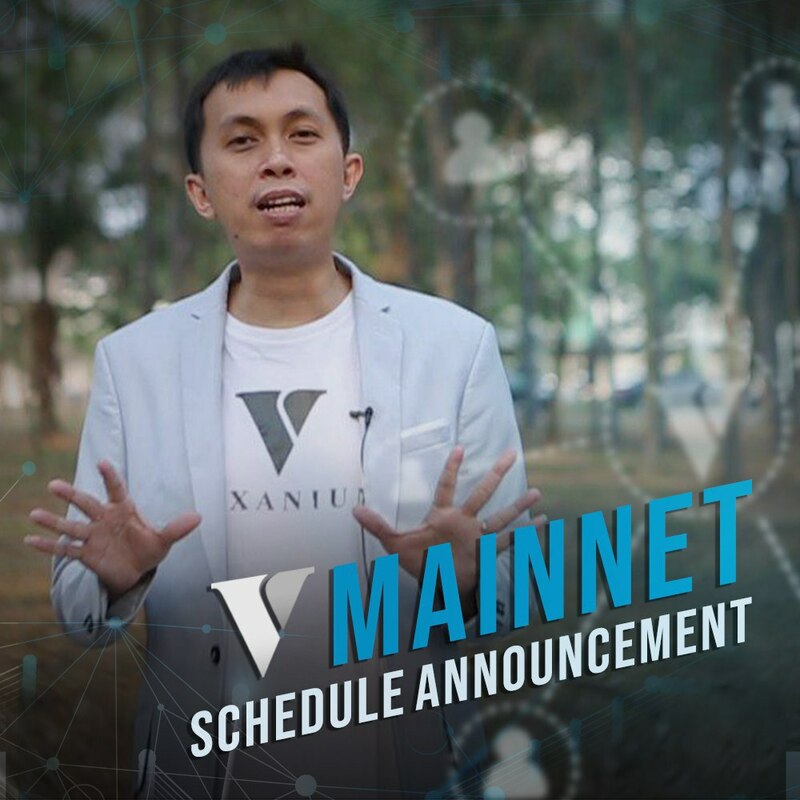 Vexanium will start a Mainnet Project where Vexanium will become a Public blockchain that will help so many people to start developing various decentralized applications. 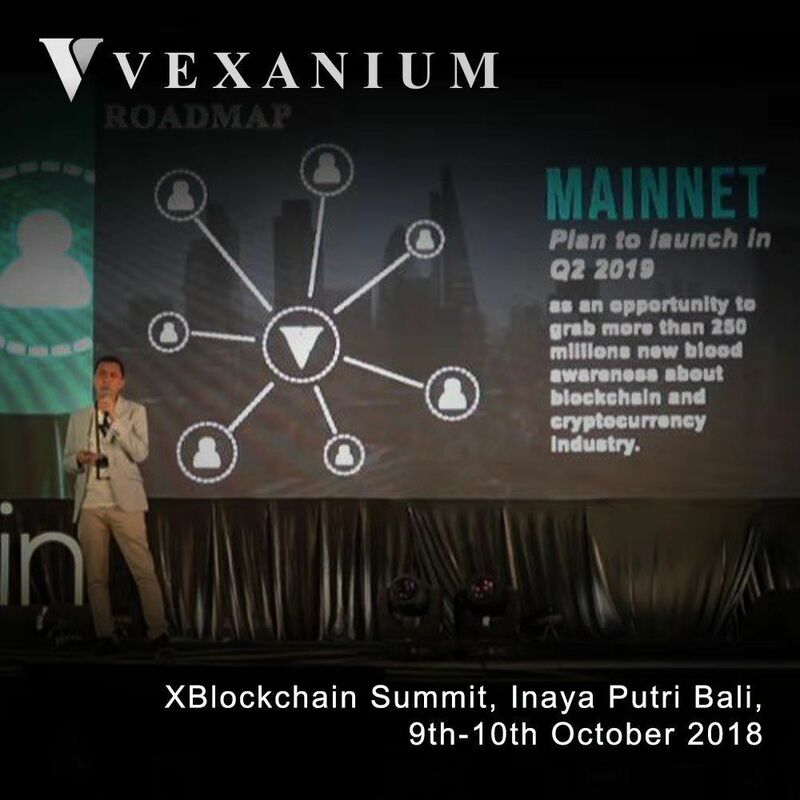 There are a lot of public blockchains out there, Vexanium focuses on a number of things, such as speed, flexibility and penetration into the market in everyday life, because Vexanium believes that the blockchain technology must be able to solve problems in everyday life. 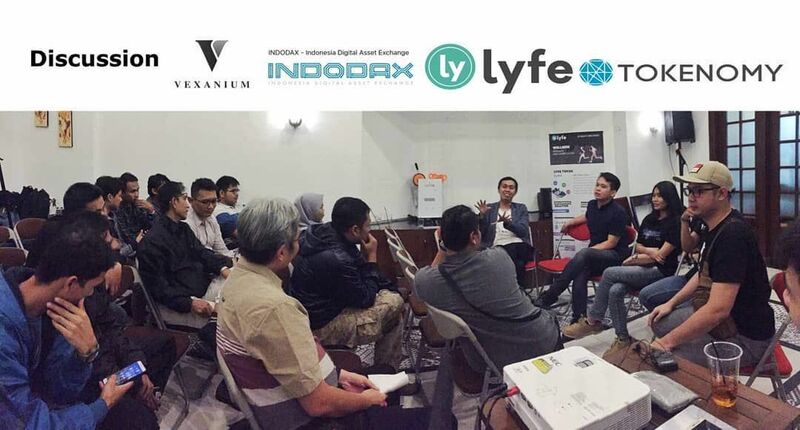 Vexanium first ecosystem, VexGift collaborated with Lyfe which is the first health gamification platform in Indonesia. 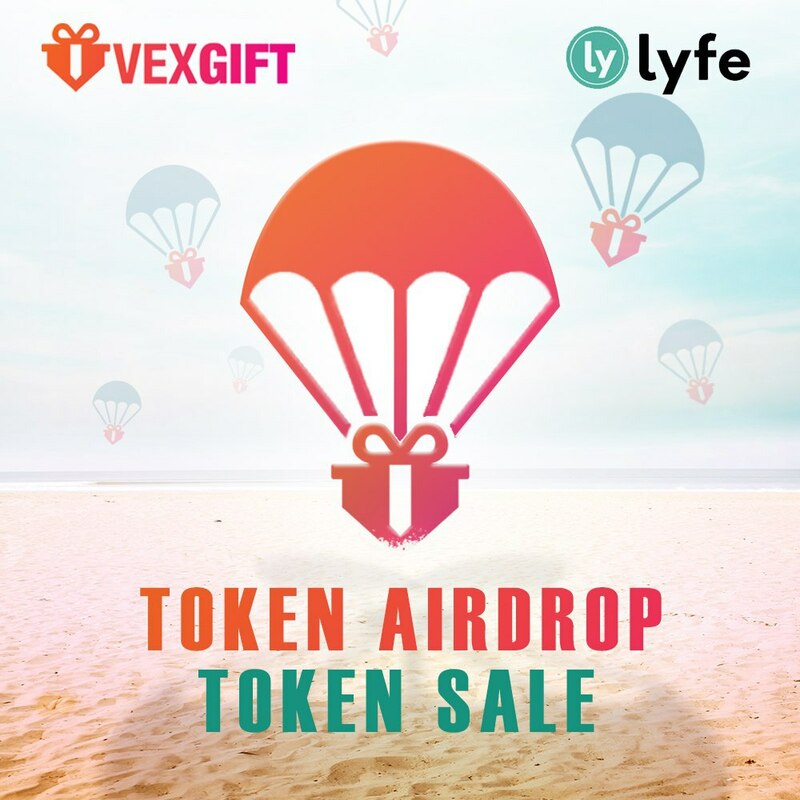 VexGift and Lyfe collaborate on Lyfe Token Airdrop that started from 16th October 2018 at 13.00 GMT+7 until 22nd October 2018 at 09.00 GMT+7 and Lyfe Flash Token Sale that started from 30th October 2018 at 15.00 – 18.00 GMT+7.